After challenging fans with their last prog-rock opus, Meloy goes back to basics on The King Is Dead. On the Decemberists’ last album The Hazards of Love, Colin Meloy took the band’s music as big as it could go, with an over-the-top, 17-part prog-rock opus. So it’s logical that their upcoming sixth record The King Is Dead (due in January) heads in the opposite direction. And while the record still finds Meloy showing off his command of the English language – on one track, he rhymes the phrase “bonhomie bone-drab” with “chewable Ambien tab” – the album is a bold, straight-up folk-rock record, perhaps their most accessible one yet. Songs like “Calamity Song” recall early R.E.M. (Peter Buck actually guests on guitar), and “Down by the Water” is a blazing country-rock anthem, with squealing Neil Young-style harmonica lines. Below, Meloy breaks down some of the key tracks on the new album. Plus, you can check out the tracklisting and album art. This mid-tempo rocker starts ominously but gives way to a bright, sun-soaked chorus. And while the title suggests it’s Meloy’s critique of American policy abroad, he says it isn’t specifically about the War in Iraq. “In some ways, it’s political but I have not attributed it to anything,” he says. “I think of it more as a song for somebody who’s up against great odds, whether political or social. 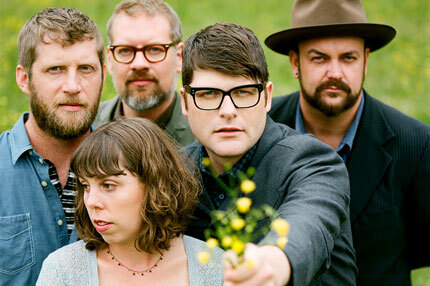 Tags: colin meloy, Decemberists, Music News, What's Beef?